Whether you are an entrepreneur with a revolutionary concept or a Fortune 500 company managing a team of 500 engineers, our innovation can make your product a success. CIMtech Mfg. has experienced, manufacturing experts. Highly skilled machinists and tool makers have been “in the trenches” assisting our customers to lower cost of machining on complex mechanical parts & assemblies for years. We often come up with better solutions than our customers. • Manufacturing Designs that work better, and are less expensive to make and service. • Shorter Product development cycle & lead times. 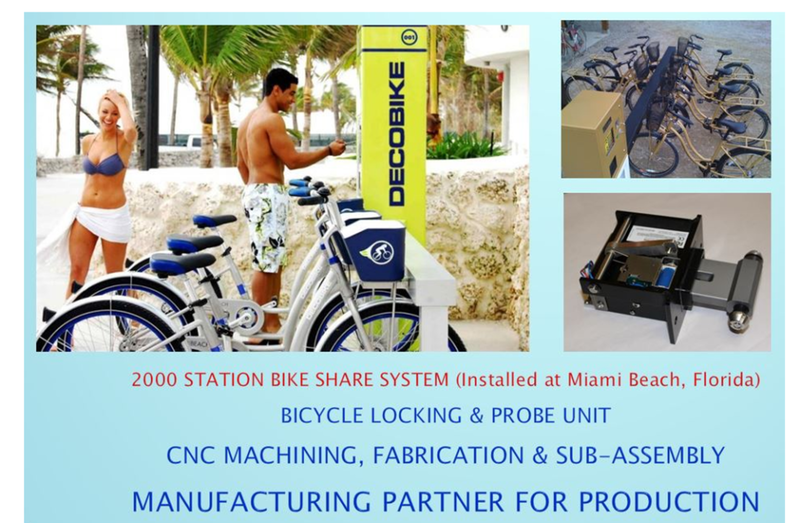 customers, we can take it to the next phase and manufacture your parts and assemblies in-house. Our state-of-the-art Hi-Tech manufacturing facilities will deliver your parts or sub-assembled units including all documentation. Our Manufacturing Experts, Journeymen CNC Machinists, Tool Makers and Certified Quality/GD&T Technicians provide precision CNC services to solve your toughest manufacturing challenges. We utilize the latest engineering technologies to meet your CNC machining requirements. At quote, when the job warrants, we leverage SolidWorks to model and MasterCAM to “virtually machine” your parts ensuring you’re getting the most accurate assessment of cost & manufacturability. Before the part goes to our manufacturing facilities & machine shop floor, we make sure it’s made right the first time. To do this, we take the extra step of running intricate part programs through Verification Software. This ensures eliminating any chance of programming and/or posting errors. Throughout the actual CNC machining process, we utilize Renishaw probing systems to ensure when the tool touches the part we’re starting off in the right spot. At every step in the manufacturing process we care for your parts as if they are our own. From beginning to end we provide complete turn key services including all secondary processes like: Welding, Bending, Casting, Plating, Powder Coating, Forging, Laser Cutting, Engraving, Anodizing & Painting Processes. CIMtech Mfg. Hi-Tech Manufacturing facility provides the arena for whatever work you need from a single prototype to complex high precision Sub-Assemblies. Quality gas Welding, Metal Work, Casting, Forgings, Laser Cutting & Etching and so much more, means that all your general needs can be solved right here with our expertise. Get a professional and reliable welding job. We provide quality welding for a wide range of materials – covering all steels, alloys, brass and copper. Whatever material you have we can do the job. We provide quality metal bending and cutting so you can get the work needed. Our machines can bend heavy sections of metal up to 100mm x 20mm and can cut sections up to 300mm round. We utilize state of the art Hi-Tech equipment to provide top quality work on your finished parts. We maintain highest quality standards through out the entire process from start to completion. Our wide range of press tooling enables us to give you the results you need. We can produce custom tooling molds & dies for manufacturing specific items presswork, we utilize wide range of universal & Professional tooling. Your casting and forging jobs are completed to highest standards with top of the line machinery. This ensures that you get outstanding finished products and leave the whole process to us. Laser cutting and etching can be applied to all jobs using steel, aluminium and bronze. This ensures that your products are identified in your equipment.